After weeks of speculation, Chelsea manager Jose Mourinho received the boot on 17 December, the BBC reported. According to a statement by Chelsea FC as published in the Telegraph: "Results have not been good enough this season & believe it is in the best interests of both parties to go our separate ways." Mourinho's exit comes at a time when Chelsea is dangerously on the edge of the relegation zone, having lost their last match 2-1 to Leicester City - who are currently at the top of the table after what has been a rather surprising streak of victories. Chelsea has won only two games since October, in what has been an almost painful season to watch - the club's worst season since 1978. This is also the second time that Mourinho has been sacked from the club. 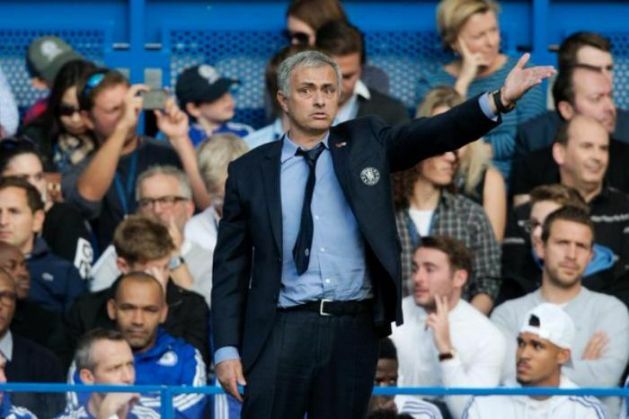 The 52-year-old took charge of Chelsea for the second time in 2013. But Mourinho has had some impressive moments at the club - He led Chelsea to win three Premier League titles in 2005, 2007 and 2015. The club also won the FA Cup in 2007 under his watch. The Blues drew Paris St-Germain at Monday's UEFA Champions League draw. Mourinho signed a new deal with Chelsea this summer. And according to the Independent, the deal does not include a buy-out clause. This means that club owner Roman Abrahamovich will have to spend a fortune to compens0ate Mourinho for the sack. According to the BBC, Pep Guardiola, Brendan Rodgers and Juande Ramos could be potential successors to Mourinho. According to numerous media reports, Guus Hiddink will temporarily take over at the club. We are having a terrible year and yet I'm sad to see Mourinho go. He has done right by our team and is Blue to the core. Thanks, Great One. Mourinho never managed to break into the top half of the table this season but at least he's breaking the internet after his sacking. Only Guardiola could do as well as Mourinho and let's be honest he isn't going to want to come to Chelsea is he?